50 Cent: Refuse 2 Die :: Movie Information :: RabbitTV GO! This gritty documentary tells the tale of Curtis Jacksons (a.k.a. 50 Cent) life and the obstacles he overcame to become an icon of the hip-hop generation. From a life of crime to the recognition of the world at large, the East Coast rapper defied the odds to enter the celebrity lifestyle without losing his street credibility. 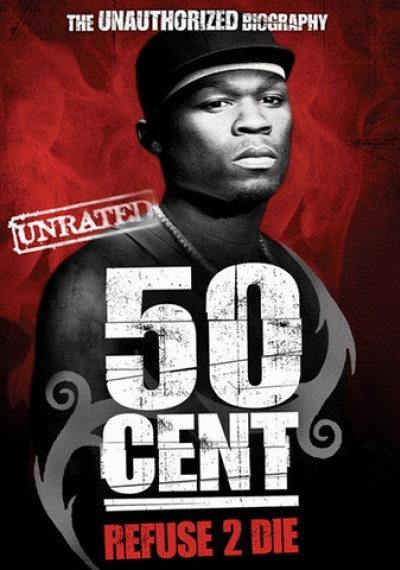 Including interviews with his closest friends and family members, as well as influential figures who guided his career (such as members of Run-DMC), this raw documentary presents 50 Cent as he has never been seen before. Follow the life of one of the music industrys most successful crossover artists in his journey from the streets to the stage and his unprecedented acceptance into the heart of the mainstream culture.